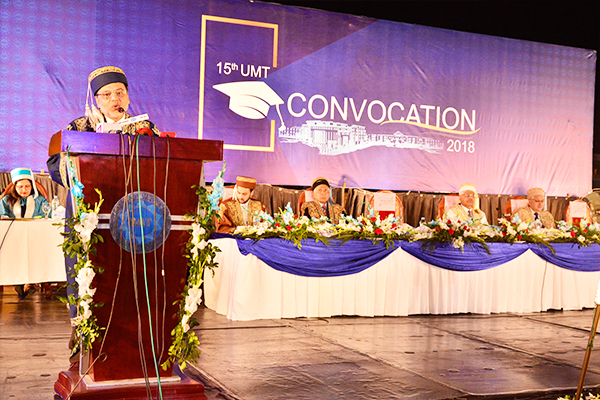 Dr Muhammad Aslam, Rector UMT, was pleased to welcome audience on the 15th UMT Convocation. He said that it is a wonderful day for the graduates and their parents. He wished them best of luck and prayed for their bright future. Dr Aslam added that UMT has a highly qualified faculty. The quality of education is strengthened by accreditations from PEC, NBEAC, NCEAC, PATCP, NACTE and SAQS. Elaborating the progress made by the University over the past year, Dr Aslam quoted that UMT holds special importance for research by its faculty members and students. 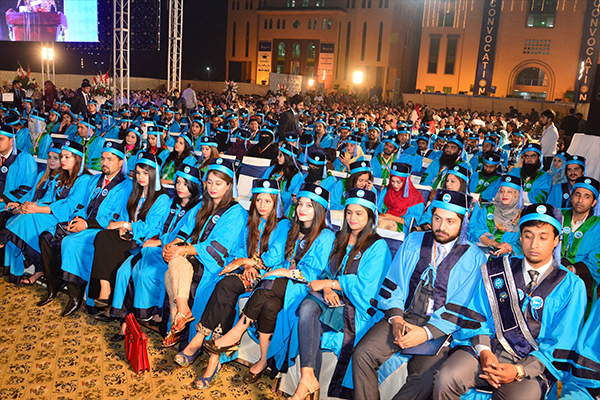 UMT is raising the bar of quality by providing international exposure to its students and faculty. UMT collaborated with George Mason University (GMU), USA, for professional development trainings and up till now more than 60 faculty members has received professional training at GMU. 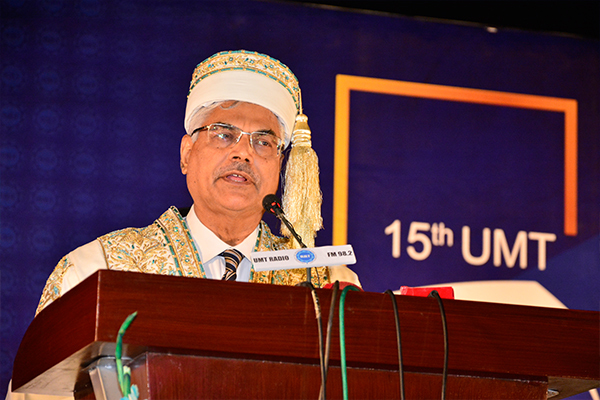 The Rector informed the audience that UMT has organized several numbers of international conferences in 2017 with participation from the USA, UK, EU, Niger, Australia, Cambodia, Niger, etc. Dr Aslam also added that UMT is a general university with a great diversity of programs. He said that in 2017, a total of 2000 students graduated and more than 6000 got admission at this prestigious University. 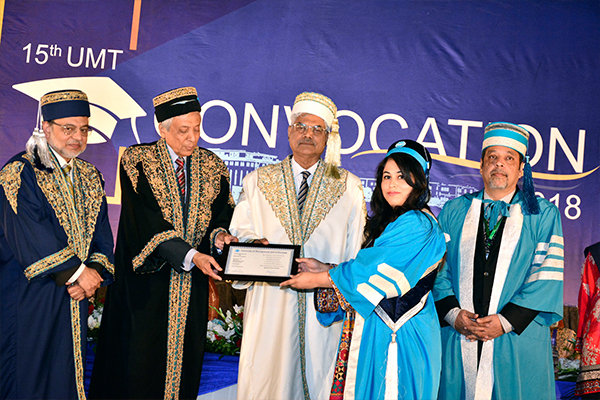 He quoted that UMT is working hard in grooming and building character of the students to stand out from the crowd by nurturing their talents through various clubs and societies. The Rector concluded his speech by advising for the graduates to gain respect not with the strength of their degrees but on the basis of their hard work, dedication, excellent professional performance, tolerance, sincerity and love towards their parents, work and fellow workers. He also prayed for the graduates to have successful professional and personal life ahead.